I love traveling and experiencing new things. I am blessed to have both of those things in my life. However, nothing beats time with people that I am close with. Yesterday, was a friend’s milestone birthday! Because I was home, I was able to surprise her with other friends for her birthday. She wasn’t expecting us at all…..we had balloons, cake, and flowers! Spending time with friends and sharing moments is what life is about. 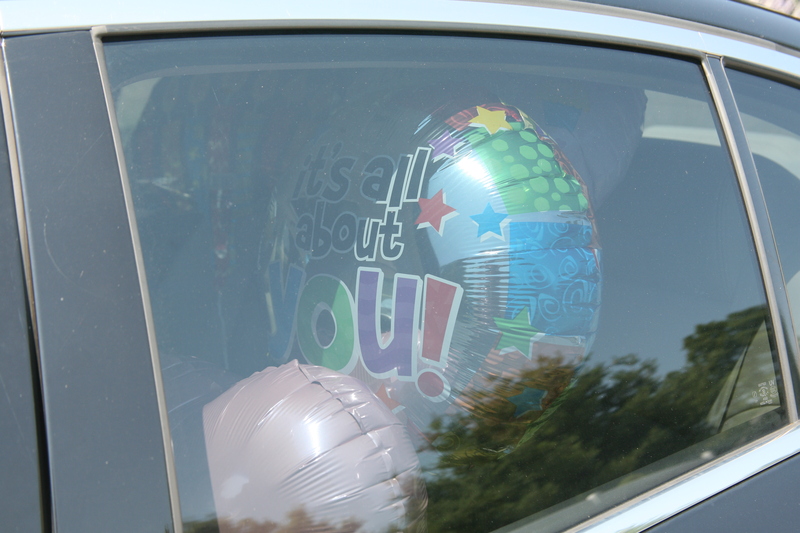 Below is the car full of balloons ready to go. Too bad it is the only picture that I have, which is so unlike me. Remember to cherish moments and people in your life! Next What sign would you want??!! I bet your friend loved it. And it is important to show those that you love how much you love and appreciate them.